That emigration tore Irish families apart is a given, but rarely is the separation chronicled across three generations. These hitherto unpublished letters describe the life of an Ulster Quaker shop-keeping family whose daughter married and emigrated in 1818. They bring out the fears of parents who will never see their child again and the preoccupations of sisters and brothers who remained behind, caring for the parents and themselves hoping just as much for material success, romance and marriage, as well as for spiritual fulfilment. They reveal along the way the situation of Irish Friends in the first half of the nineteenth century, and the difficulties of making one's way, whether in unsettled Tyrone or settler upstate New York. 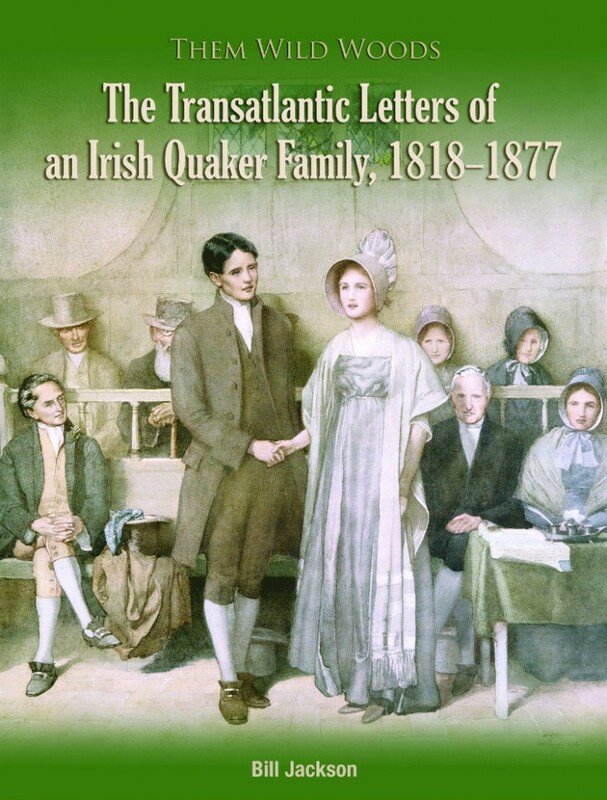 In Them Wild Woods: Irish Quaker Familys Transatlantic Correspondence, among other things, just about everyone who was anyone in Dungannon and its hinterland is mentioned for good or ill. Armagh, Dublin and Lisburn also feature, as do New York, Buffalo and Collins. There is everything here, from jilting to murders, bankruptcies to fashions, potato prices to politics. The events of the times stud the background. In Ireland, visits by Dungannon's absentee landlords, the proscription of unionist and nationalist parades, O'Connell's trial for sedition, the possibility 'of propelling vessels by steam', Queen Victoria's opening of the Queen's College, Belfast. In America, an encounter with Napoleon's brother, the opening of the Erie Canal, the ball given in New York for Charles Dickens, the abolitionist cause, various presidential elections, P. T. Barnum's hoax exhibition of the 'Feejee Mermaid'. These couple of hundred simple family letters throw a candid but sympathetic light on life as it was lived in Ulster and on the Lake Erie shore nearly two centuries ago. Educated at Campbell College, Belfast and Trinity College, Dublin, Bill Jackson retired in 1999 from a career with Oxfam, the Irish public service and the United Nations. Index of persons named- Ireland, Britain, etc. Index of places named- Ireland, Britain, etc.